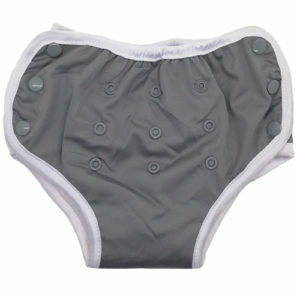 These Training Pants have built in sizing. 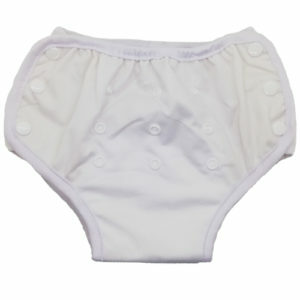 There are 3 rows of rise snaps in the front to adjust the crotch height and the waist is adjustable with the snaps on either side. 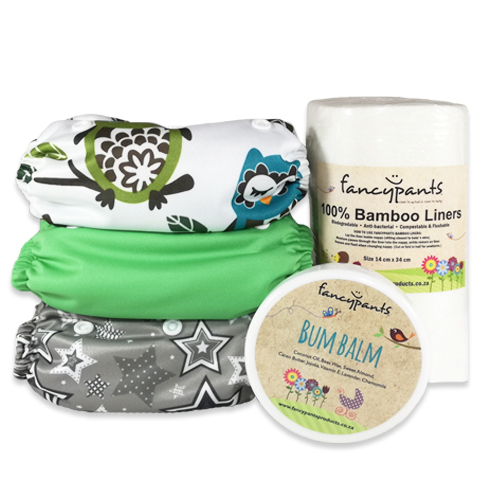 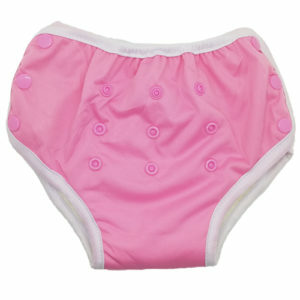 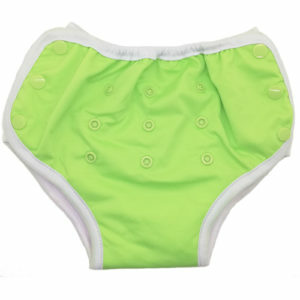 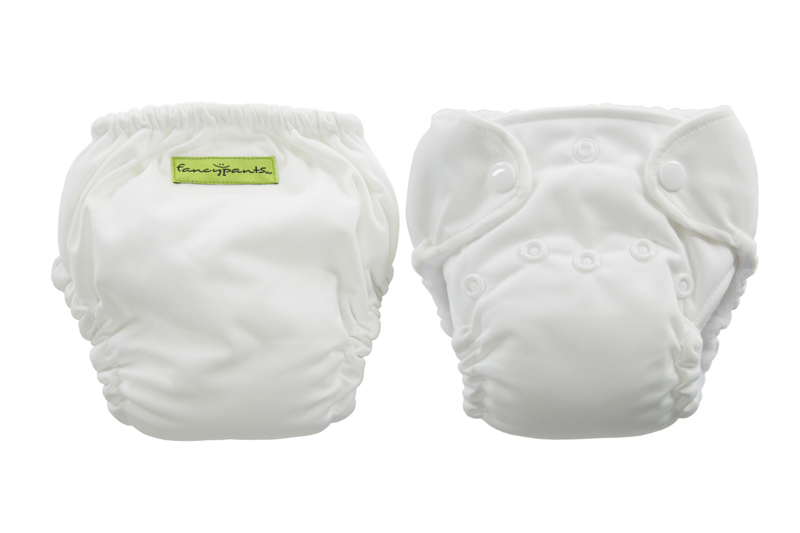 The outside is soft PUL waterproofing and the inside has Bamboo terry with 2 layers of Microfibre to absorb those little accidents that happen during Potty Training.